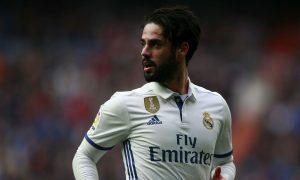 Manchester City are ‘very close’ to finally landing a man they almost acquired in 2013, Real Madrid playmaker Isco, according to Catalan newspaper SPORT. Isco famously turned down a move to City at the last minute in 2013, when Zinedine Zidane made a personal phone call to convince him to instead choose Real Madrid. And Isco has been rewarded with two Champions League medals, although has never quite been the star player he hoped to be there. City’s interest in the gifted playmaker, who could be seen as a long-term David Silva successor, has never quite died and City Watch was told that he came very close to joining City in January 2016 before Zidane replaced Rafa Benítez as Real Madrid head coach, leading to a change of plans. Isco has finally decided to move on, it is reported, and has rejected a new contract offer from Los Blancos. His current deal is up in 2018, meaning Real Madrid must sell him this coming summer if he won’t renew, and Manchester City are at the front of the queue, SPORT claim. The 24-year-old is said to have several options, but none more lucrative than City’s, with club chiefs convinced the Spanish international can become a big hit in the Premier League. The report also claims that City have been looking for a player of his style to add to an already impressive midfield, and sporting director Txiki Begiristain hopes to bring him in. Juventus and Inter Milan would also like to sign Isco, but SPORT is clear: Manchester City lead the race to finally sign Isco.